The recent entrance onto the market of the Girls Scouts Cookie Kids Oven that really cooks brings fond memories of my days as both a Brownie Scout and Girl Scout. Those were days of learning, sharing and having fun. And now today's Scouts, plus other girls, can continue the fun by baking their own delicious tasting Girl Scout cookies using this cookie oven. They can create their own homemade special treats to eat and to share with friends. 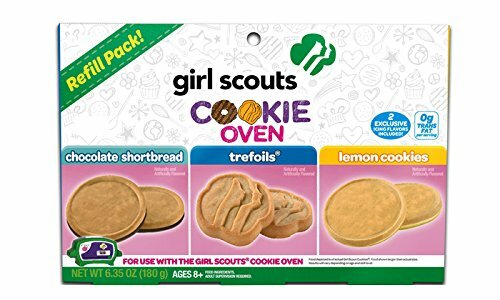 The toy oven is different from other toy ovens in that it’s an exclusive Girl Scouts branded toy. 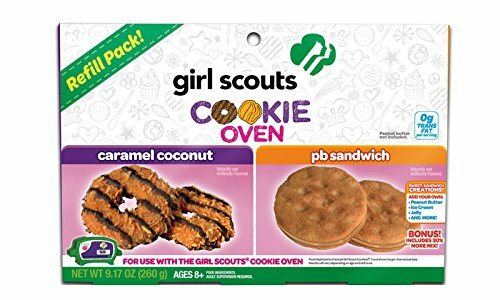 Girls everywhere can now have the excitement of learning how to bake cookies that taste just like the popular Girl Scout cookies that are sold once a year. It’s a toy oven but it’s also an oven that actually works very well. It has the ability to pre-heat just like a real oven does and the pre-heating time is fast. It can be ready to bake cookies within five minutes. The pre-heating feature means that treats are ready faster than they are with other toy ovens. Kids can learn a lot and have fun at the same time while baking with it. For one thing, they can learn how to properly mix ingredients and how to measure foods correctly. While learning how to bake is fun, you get a bonus because you get to eat the lessons as well. The oven comes with several accessories like a baking pan that can be used to bake about a half dozen of the treats at one time and a plastic pink spatula to lift the cookies off the baking pan and slide them onto a plate. There’s a measuring tool that kids can use to make sure they use the right amount of ingredients. 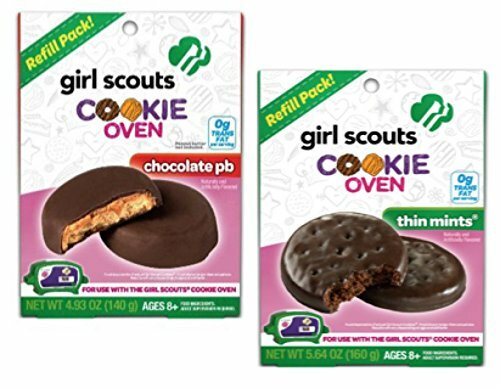 Included with each purchase is a bag of Thin Mints mix, one of the most popular flavors for Girl Scout cookies. So little bakers can get started baking right away. The oven gets very good reviews and has become a best seller during its short life span. It’s so much fun to use that kids will want to use it over and over again. So you'll want to make sure that you get additional baking packs. You can get some that are sold individually like the PB Sandwich flavor or you can get several in a bundle pack that includes the Caramel Coconut and more. If you are looking for a kids oven that really cooks, this Girl Scout Cookie Oven is highly rated and a good value.